* Please note: you need to register for this new service, your PIN/Password for our old online system will not work. Looking for our old online system? We are in the process of replacing our old online system – you can still login and use the system as normal but that online branch will be closing soon. 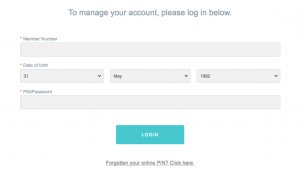 Don’t forget to register to use our new system to keep track of your account!